This is likely to be a crucial game in deciding who gets the play-off spots in Group C. Two positions have already been snapped up and this game features the hosts in fourth spot and the away team in fifth spot. An away win would change all that, which means both teams are desperate to win. Kaunas currently hold the final Top 16 spot in the group with a 3-4 record. Ian Vougioukas has been the top point scorer for Kaunas so far this season and he will need to be at his best if the team are going to strengthen their grip on the Top 16 place. In fact, if the result goes well, Zalgiris could actually be celebrating their place in the Top 16 by the end of Round 8, so there is every incentive for the hosts to do well. Paulius Jankunas has been in great form with respect to rebounds this campaign and his presence could make all the difference for this game. Pinar suffered a narrow home defeat to Panathinaikos last week, but they know that they cannot afford any slip-ups in this game. 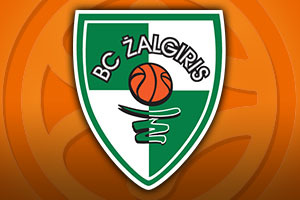 Their 2-5 record is currently just one game away from Panathinaikos and Zalgiris and if they can draw level, there will still be a chance to overhaul them in the standings and grab a Top 16 spot. Joe Ragland has averaged 11.9 points per game for Pinar while Joe Carter and Colton Inverson have been on form at times. This is the big game for Pinar and if they can achieve the level of performance that their top players can deliver, Group C could be blown wide open for the final two rounds of the campaign. 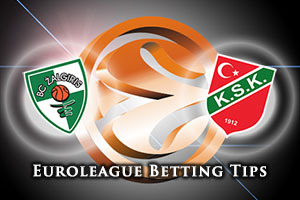 The bookmakers believe that the hosts will strengthen their Top 16 chances in this game and you can take Zalgiris Kaunas at -5, at odds of 1.90 in this game. For the Over/Under market, look to go OVER 143.5 at odds of 1.90 on Wednesday night. Bet Now!